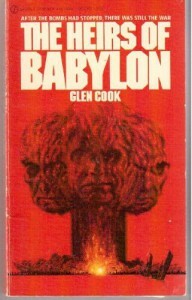 I believe this was Cook's first published novel; if not, it was one of the first and it shows. You can see glimpses of what would make Cook a good author in later books and the cynical worldview that informs his work but the writing's awkward and derivative, and it's just not very good. If you're an absolutely die-hard Cook fan who can't live without reading everything he writes, you should read this book. If you're a less fanatic fan of his fiction, this is one novel you can and probably should avoid.